With the next federal election scheduled for October 15 of next year, Justin Trudeau and the Liberals have reason to believe their lead over Stephen Harper's Conservatives has staying power. 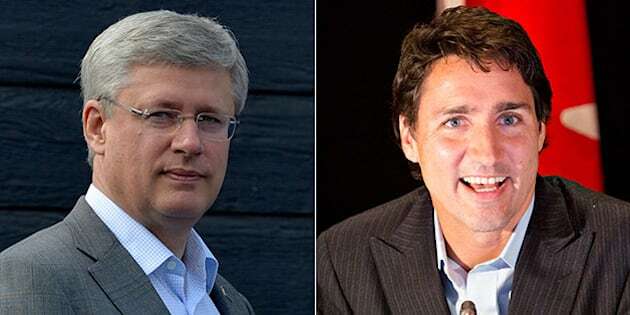 A new poll conducted by Ipsos Reid for Global News has the Liberals up seven points on the Tories with the support of 38 per cent of decided voters. The poll was conducted between August 14 and 16 and has a margin of error of plus or minus 3.5 per cent. While recent polls have suggested the Tories might be gaining some ground on the Grits after months of steady declines, the latest Ipsos poll shows the opposite. The Liberals are up five points since Ipsos was last in the field in April and the Tories are down two points to 31 per cent support. Thomas Mulcair and the NDP are steady in third place with 24 per cent support among decided voters. Another poll released Monday, this one from Abacus Data, also showed Liberal gains and Tory losses. That poll put the Grits up one point since July to 35 per cent support and the Conservatives down two points to 29 per cent support. Despite the good news, Trudeau said Monday that his party has plenty of work ahead if it hopes to form the next government. "We’re sitting at 37 seats in the House of Commons, we’re distant third place in reality and the fact Canadians are now looking at the Liberal party as the potential next government means we have to roll up our sleeves and work even harder to earn that trust between now and the next election,” Trudeau told a crowd in Bridgewater, N.S., according to the Chronicle Herald. Trudeau is campaigning in the Maritimes this week after Liberal's summer caucus meeting in Edmonton. HuffPost reported last week that the Liberals hope to win between four and six seats in Alberta in 2015, a province they have been shut out of since 2004. Meanwhile, Prime Minister Harper is in the Arctic on his annual summer tour. On Sunday Harper took part in the ongoing search at sea for the ships lost in the doomed mid-19th century Franklin Expedition. The hunt for the ships has been a central plank in the Conservative government's push to increase Canada's influence in the Arctic.